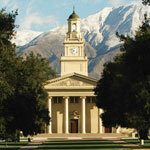 1200 E. Colton Ave., Redlands, 92374, (909) 793-2121 Founded in 1907, the University campus is home to the Redlands Symphony Orchestra and the University Club Restaurant, and regularly earns high marks in the rankings of the nation’s colleges. 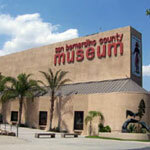 It annually presents over 200 music, arts, theatre, dance, and other cultural events. 125 W. Vine St., Redlands, 92373, (909) 798-7565 Seven days a week, this library designed in the Moorish style was constructed in 1898 by Redlands’ patron saints the Smiley Brothers as a gift to the people of Redlands. 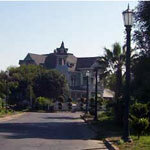 Located in Smiley Park, it is a California Historic Landmark and is listed in the National Register of Historic Places. 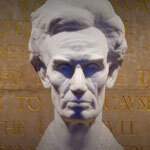 The Lincoln Memorial Shrine 125 W. Vine St., Redlands, 92373, (909) 798-7632 The only Museum, Library, and Archives dedicated to Abraham Lincoln and the American Civil War west of the Mississippi, is open to the public free of charge afternoons Tuesday through Sunday. Located in Smiley Park, the Shrine, built in 1932 as a memorial to President Abraham Lincoln, is a museum containing art, photos, manuscripts, relics, and books on the life of Lincoln and his era. Redlands Bowl Smiley Park between Eureka and Grant Streets, across the street from A.K. Smiley Public Library, P.O. Box 446, Redlands, 92373, (909) 793-7316. 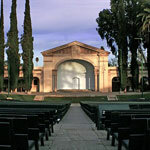 More than 100,000 guests enjoy musical performances at the Redlands Bowl, a Redlands tradition for over 75 years. The season’s concerts take place on Tuesday and Friday evenings from late June through August. There is no admission charge, but free-will donations are accepted. 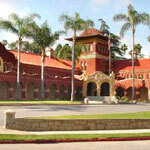 r 2024 Orange Tree Lane, Redlands, 92374, (909) 307-2669, off I-10 at California Street exit. Open Tuesday through Sunday, 9:00-5:00, closed Mondays and major holidays. Displays of pioneer life, Indian relics, minerals and fossils, ornithology, anthropology, archaeology, earth science, natural history, and paleontology. Changing art, science, and natural history exhibits are featured; for current displays call 1-888-BIRD-EGG. 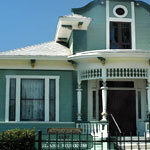 1157 N. Orange St., Redlands, 92374, (909) 798-0868 Open Saturday and Sunday, 12:00-4:00 p.m. and by appointment. Admission is free. Housed in a restored 1903 Victorian-style home, the Museum holds displays of American glassware dating from the early 1800’s to contemporary times. Items on display include Depression-era glassware, milk glass, Victorian china, and even several items from the estate of Liberace. The Museum maintains a research library for use by its members. P.O. Box 206, 1325 Prospect Dr., Redlands, 92373, (909) 792-2111 Open Thursday through Sunday, 1:00-4:00 p.m. 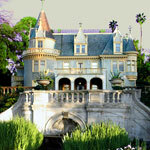 Featured on PBS’s America’s Castles series, this fairytale-like French Chateau was built in 1897. It is situated atop a knoll overlooking the San Bernardino Valley and is surrounded by more than six acres of terraced gardens, including a koi pond and citrus groves. 2064 Orange Tree Lane, Redlands, 92374, (909) 793-2031. Off I-10 at California Street exit. Set amidst lush citrus groves, this turn-of-the-century Victorian mansion has been renovated as a wedding and other special-events facility. Self-guided tours are offered through the three-story house and adjacent 1890’s wedding chapel, Victorian gazebos, and beautiful gardens and patio. 26930 Barton Rd., Redlands, 92373, (909) 793-5402 Open to the public. 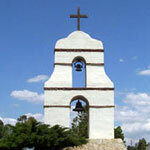 This Estancia was established in 1819 as an outpost for cattle grazing by the Franciscan Fathers of San Gabriel, and is presently a museum and wedding chapel. Exhibits tell the story of Native American and early California pioneer life before the establishment of the agricultural community that was to become Redlands.